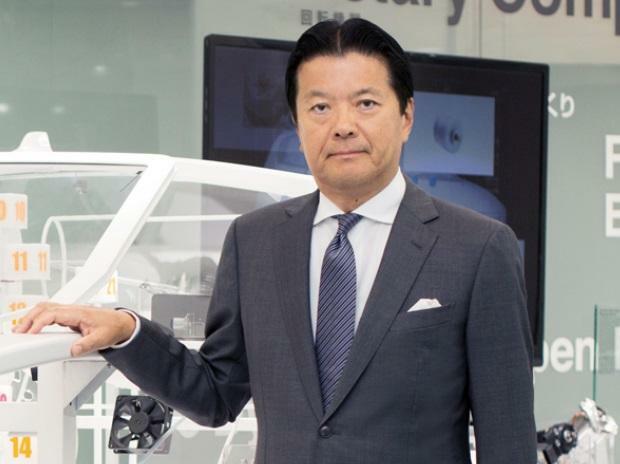 “We grabbed the 6A and 6B seats and hashed it out on our way to Karuizawa,” Kainuma said during an interview at the company’s Tokyo headquarters. Three months later, he closed the purchase of Nintendo Co. supplier Mitsumi Electric Co., leading to a surge in profits when the Switch console was introduced. Kainuma, a Harvard Law School graduate, was working as an M&A lawyer when he married the founder’s granddaughter. Her father, Takami Takahashi, was Minebea’s CEO at the time and encouraged his new son-in-law to quit his law firm. Kainuma resisted at first, but succumbed after a “ferocious love call” from his father-in-law to join him in making acquisitions. He became head of legal affairs at Minebea in 1988, one of its youngest executives. In February, Minebea slashed its operating profit outlook for the latest fiscal year by 12 percent. Shares are down about 30 percent from last year’s record. Its market value is now about $7 billion, tiny beside rivals like Samsung Electronics Co. and Siemens AG. Morgan Stanley analysts including Shoji Sato downgraded shares last month, writing that large profit declines are “unavoidable” and a "tough recovery" will last until at least 2021. “People say I’m lucky, but it’s not just luck,” he said.